I have been coming across a lot of deliciously stripy things recently and wanted to share two of my favorites with you. 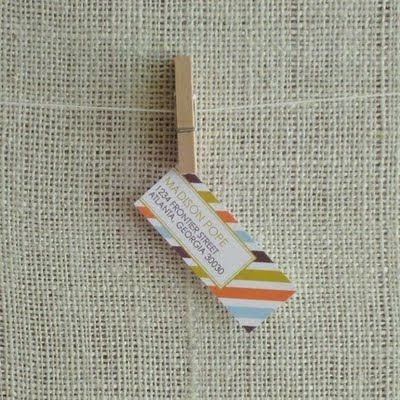 I love the idea pasting your bills with bold colorful return address labels . . . what better than these beauties from Etsy seller avie? 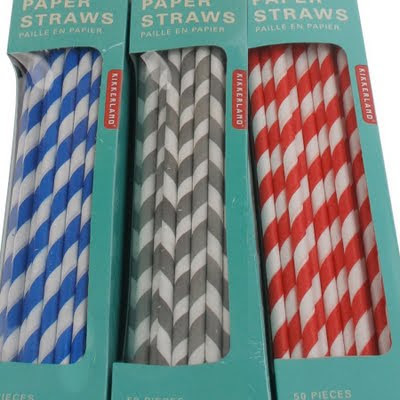 Also, I know I have written about Kikkerland's awesome and affordable paper straws before here, but I wanted to share these sweet new colors! Check out the labels here and the straws here.